Fred W. Wright (born 1880) studied at the Art Students League in New York and the Académie Julien in Paris before embarking upon a career as a portrait painter in New York. His work is represented in a number of collections around the country. Robert Brackman (1898� ) was born in Odessa, Russia, came to the United States in 1908, studied at the National Academy of Design, and in the 1930�s joined the faculties of the Art Students League and the Brooklyn Institute of Art. His work is represented in numerous collections. 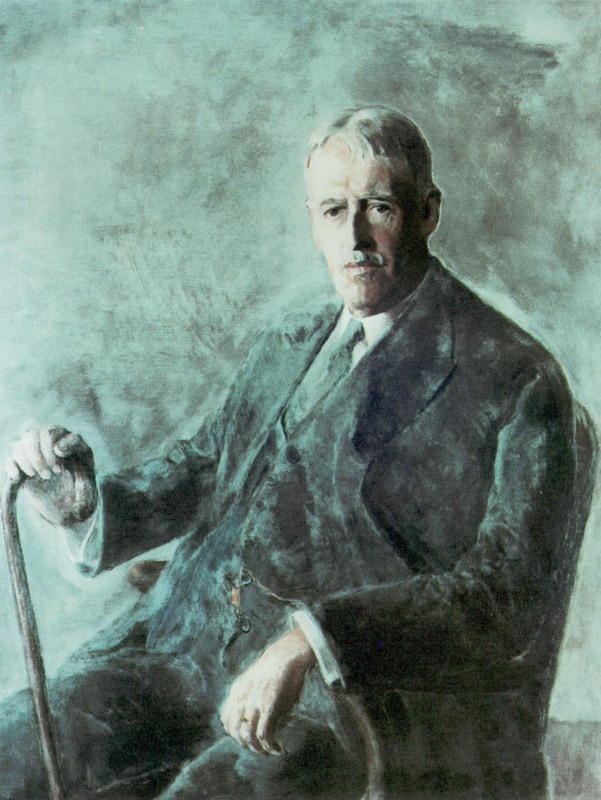 Brackman�s original portrait of Secretary Stimson is in the Skull and Bones Club at Yale University; Mr. Stimson privately commissioned the Wright copy for the Army gallery.